A small group of unusually colored toucans rest in the tree canopies of Colombia’s humid highland forest. Unlike the better known black-bodied toucans, these Grey-breasted mountain toucans are colored yellow, grey, black and red with a red tip on top of their bills. Another peculiar feature? Red and yellow feathers coming out just under their tail feathers. Grey-breasted mountain toucans inhabit the Andean forests of Colombia, Ecuador and Peru, including Páramo Ovejas Tauso Regional Natural Park, our recently established protected area in Colombia. This reserve protects toucans and other charismatic species from habitat loss and degradation. Additionally, the new park conserves 37,000 acres of high elevation páramos and cloud forests, and secures water for more than 116,000 people! Click here to learn more about Colombia’s newest natural park. Grey-breasted mountain toucans live in tall emergent trees, though some will search for food on the ground. They are social birds, usually found in pairs or small groups, and mainly frugivorous, eating various fruits and berries. Mountain toucans have a unique mating ritual involving the male tossing fruit to the female from his beak. Like all of their other activities, and unlike other birds of their kind, mountain toucans nest in tops of trees. Both parents share equally in incubation duties and in feeding fruit to the babies. Grey-breasted mountain toucans are listed as near threatened due to rapid habitat loss. In particular, their habitat in Colombia has been subject to widespread and severe deforestation. You can help protect these unique winged creatures by supporting our work in Colombia. Perched on a tree in northern Peru’s tropical deciduous forest, a boldly patterned songbird calls out. The small creature, olive above and tawny below, is a Marañon Crescentchest, endemic to the Marañon Valley of northwestern Peru and southern Ecuador. Marañon Crescentchests are found in the deciduous forest and scrub of the middle Marañon Valley. The birds forge on or very near the ground, advancing with hops. Their diet is mainly insectivorous, though studies have shown some consuming seeds and other plant material as well. Marañon Crescentchests have a small geographic range, within which the birds are uncommon. The species is classified as near threatened, imperiled by habitat loss from dam construction alongside the Marañon River, timber logging and forest degradation for small farm agriculture. 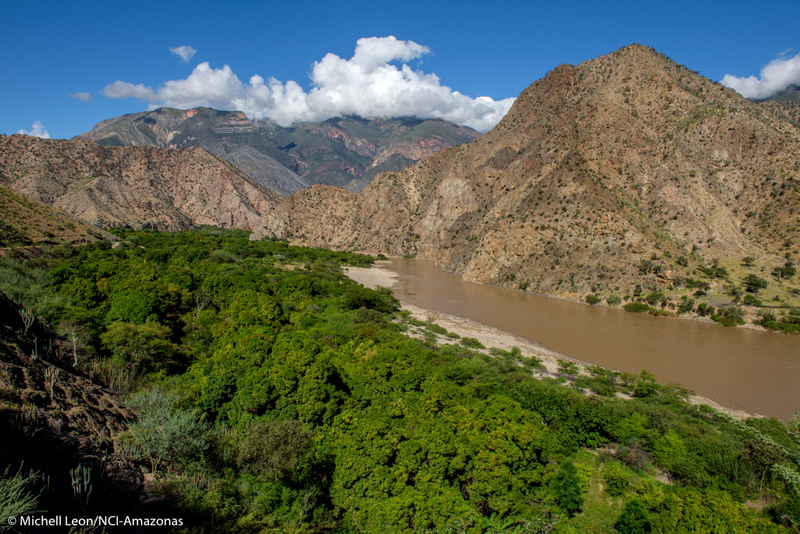 Peru recently established a safe haven for the Marañon Crescentchest and almost 200 other endemic species. With Nature and Culture’s support, the Amazonas Regional Government created the Seasonally Dry Tropical Forests of the Marañon Conservation Area, protecting a biodiversity hotspot in northern Peru. Learn all about this area (declared just last week!) here. Help build a better world for all birds by supporting Nature and Culture.